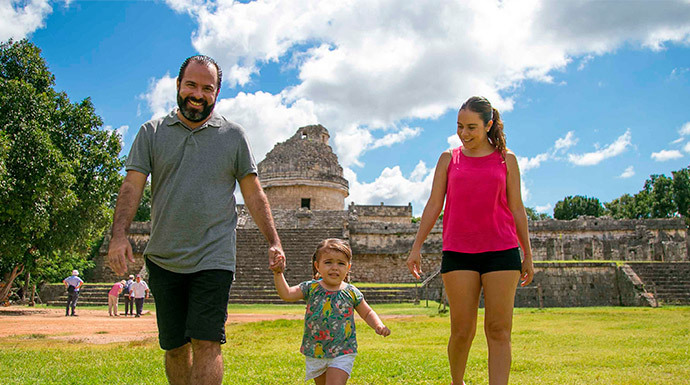 Visit the world famous archaeological zone Chichen itza, discover the mystery of its emblematic temples, refresh yourself swimming in a typical sacred cenotes, you will also know the beautiful colonial city of Valladolid a magical town in Yucatan. 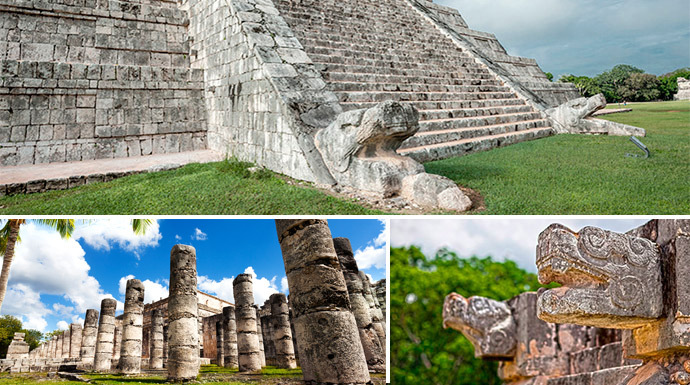 Come to know Chichen Itza, an archaeological zone full of magic and mysticism, discover its origins, find out why this Mayan city that has transcended through the centuries; on this tour you will know its temples as The Ball Game, The Temple of the Warriors, The Snail and the popular Pyramid of Kukulcan or The Castle, the main building of this sacred city. 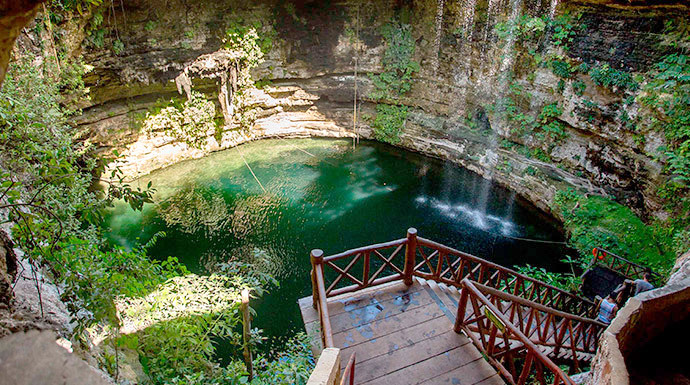 You will get in touch with nature in one of the cenotes of the Yucatan Peninsula, its fresh waters and harmony will revitalize your while swimming and admiring its beauty. 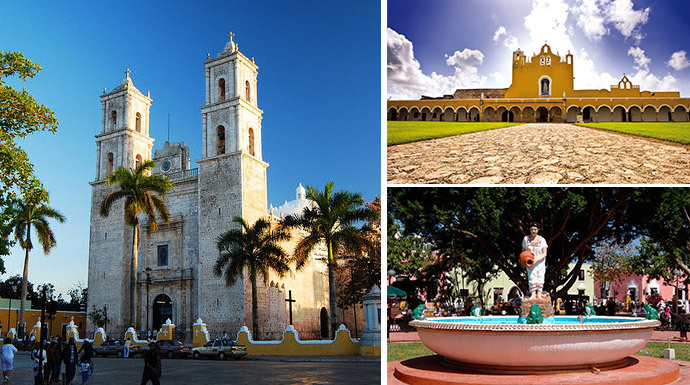 We will conclude by walking through the magical town of Valladolid, you will visit its picturesque streets and buildings, you will know the history of its great architectural, historical and gastronomic heritage. 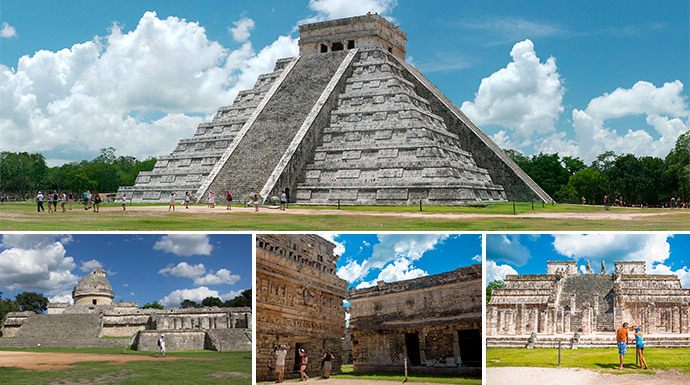 It is not allowed to climb the pyramids at Chichen Itza archaeological site. The use of a video camera inside the archaeological site has an additional cost.